Re: A silver anode but not a silver cathode? I started the thread to explain the basic principles involved in generating ionic Colloidal Silver . The main point I'm trying to get across is the necessity of limiting the current to a much lower value than what most people are using. I have found that anything over 200 µA per square inch of surface area will not produce a 90% ionic, clear, stable product. If you're in a hurry, you have to use more silver, and 9999 silver from a reliable supplier is not cheap. So you can use time instead. Now I know there are people who cannot accept this fact. They are somehow unable just go away and let the process continue. I can't help them. When I first started making my Colloidal Silver over 30 years ago, the accepted method was to put salt in the water to speed things up. Unbelievably, there are still people that do this. There are also people that won't believe it's Colloidal Silver unless it's yellow. Now it's true that the vast majority of people require a simple gadget that they can just use with distilled water and throw the switch. There are a dreadful plethora of colloidal silver generators out there. The vast majority are offered by people who at best don't have a clue. For people to choose among these generators, they need to have an understanding of what is involved. They need to know how to measure the results. They need to know what they have a right to expect. That is the purpose of the thread. I was cleaning up my workshop the other day, and I found a piece of my history of exploring "the art of making Colloidal Silver ." It is five 1988 Canadian silver Maple leaf coins. I got these as soon as they came out to have a source of silver of which I could be sure. The 12gauge silver wire that I had them linked with is 999 from a reputable company, but with no knowledge of what the impurities are. I continued to be frustrated in my experiments to control particle size while attaining high levels of ionic content. As you can see from the picture, the silver oxide buildup on the Maple leaf coins was very heavy and required wire brushing to clean it off. 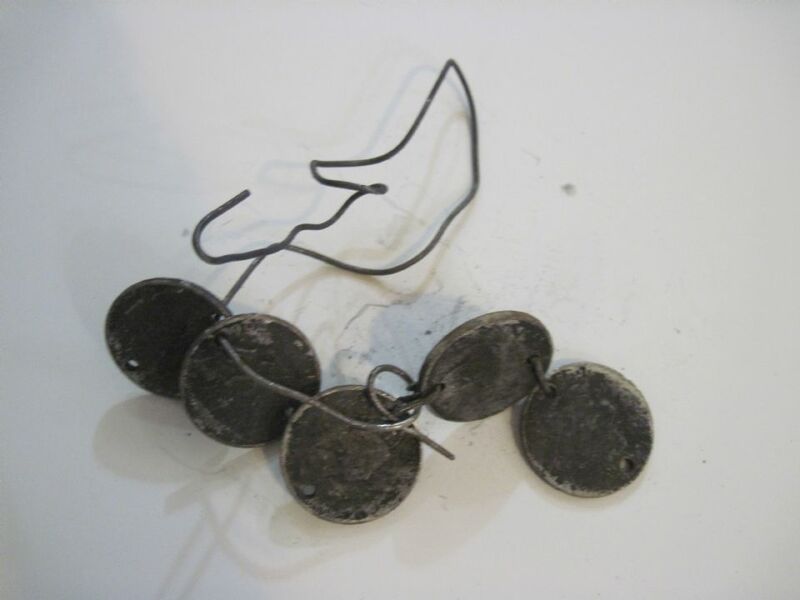 The reason for the corrosion was the numerous indentations on the coins themselves. These indentations formed walls spaced so closely together that ions were not allowed to fully escape the Maple leaves without combining and forming particles of silver oxide which would then attach themselves to the surface. When I would grind the silver oxide off with a wire wheel, the scratches formed and the same phenomenon would repeat itself. This difficulty is caused by what is called the "Nernst diffusion area." It describes the limits for how many ions can escape from a given surface area, even a completely smooth area. Having indentations such as those on the coins means that walls were formed with the distance between them less than the diffusion area. So for those of you who are using Canadian silver Maple leaf coins, I can assure you that I agree with your reasoning completely. When it comes to what I'm going to put into my body, I'm not a "trusting" person. If I did not have a source of silver wire that I was certain of, I would still be using Maple leafs myself. RE: I continued to be frustrated in my experiments to control particle size while attaining high levels of ionic content. A. Hi abeland1, I may be able to lend a hand on controlling your ionic /particulate ratio, as well as with particle size. Though I'd add that this will require investing in some equipment. Buff them down until you you a bright shiny surfaces. Remove all scratches on all surfaces including the silver wires if they too are in the water. Don't put anything in the water that is not silver. and in an emergency, anything will literally work - sterling silver flatware or US silver 90% coins in tap water using AC 110 60 cycle. we are talking about safe long term use. in an emergency, literally any combination of water silver and electricity will do. better than dying. You are wrong on this. Sterling silver contains a significant amount of nickel, which can kill you. The same thing goes for 90% coins. As for advocating the use 110 V AC, I guess suicide cures everything. In addition to this, and I don't mean to pick on this particular idea, though I can think of another challenge that could come from the use of a potentiometer in that it would not allow for repeatability within a process. And while I wouldn't go as far as saying that this be necessary, I do think however, that there are benefits to having consistency in terms of time and rates(volts/current) during processing. As this allows for control and monitoring. One example of this would be with a setup which would provide volt and current measurements over time. This could in-turn, provide the means to adjust certain parameters during processing. ie, you might start a batch and let it run for 30mins, after which, a timer could tell you to either; change-out or clean your cathode(s) for example. Whatever the case, and I'm certainly not saying the use of a potentiometer is somehow a bad thing, though I do however think it it may be worth considering some of the possibilities that come with the use of the different types of current control measures used in the production of Colloidal Silver . I like using a potentiometer and the setup as it allows me to, after experimentation, to arrive at a resistance value that will prevent the solution from turning yellow. In starting from scratch for a home brew system, there are a lot of variables to consider. The most critical geometry of the system. How big are the electrodes? How far apart are they? How much water is in the container? 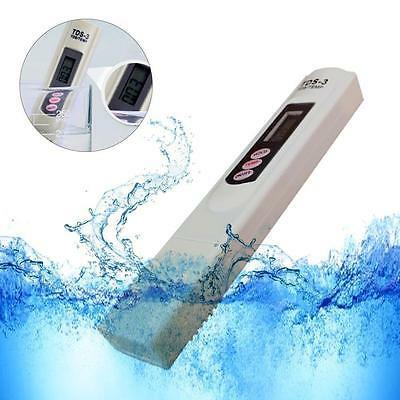 The further apart the electrodes are, the higher the initial and final resistance of the water. How good is the distilled water were able to obtain? That will vary. I have found with a manual set up that it is best to start with as high a voltage as I can. For safety sake, this is limited to 48 V.
Initially, one would start with the potentiometer set at 0 ohms and monitoring the current using the 2 V meter across a one K resistor to read microamps. As the current gradually increased, I would increase the resistance on the potentiometer to keep the current below the amount that I decided was appropriate. Eventually, you come to the point of equilibrium where the current pretty much stays the same. If you have limited the current to a value low enough, you will then find that you can let the process continue for up to a day without particles forming large enough for the solution to turn yellow. Now now you can simply leave the potentiometer in the same position. It will not take that much longer to get to that current level the next time you run a batch, less time than you would think. I have found that I can achieve over 20 PPM ionic, clear and stable Colloidal Silver by using this method. Here is a link showing the whole process. Yeah, go along with you on this. I use a 1 ounce bullion bar I cut in half, probably paid $10 for it years ago, it'll last me a lifetime. I just wipe it down after I'm done & try to remember to switch bar halves for anode & cathode the next time I make the next batch. RE: ... the setup uses only silver wire on the anode side but not the cathode side? A. That's a good observation. The stainless cathode was likely part of a cost driven setup. And so I'll edit the parts list in future posts to avoid confusion. RE: If that were the preferable method, why does virtually every other electrolysis type Colloidal Silver generator (actually ionic silver) use silver for both? A. For simplicity, I'd say the ideal would be the use of silver all around, as this would eliminated the potential for mismatching electrodes. Though it remains that the cathode has no part in the donor process and that these could be either; stainless or copper in cases where costs are a priority. RE: There is a huge difference in conductivity between silver and stainless steel. A. This is true. though this could also prove advantageous to use an inferior cathode to anode ratio. Just make both electrodes silver, then swap polarity to the electrodes occasionally to equalize the wear to both. The price of silver rods are cheap enough to avoid the headaches of different electrode materials. The cost of this layout is way more than $90. It requires the purchase of two multimeters as well, add about another $100, Next the person had better know how to set up the circuit running all those wires in & out of the meters. This is an OK setup for someone who is experienced in basic electronics, but this is not for a novice who will end up spending many frustrating hours trying to get everything right so this can work & in the end will probably just give up. On the matter of the circuit, I should have noted that this particular design is not the most basic, but more specifically, aimed at DIY'ers looking for added telemetry and repeatability in processing. And so I'll definitely look into putting something simpler together for the less technically inclined. With that said, you've raised some good points and I'd like to thank-you for taking the time to share your views and observations on this. Here's a little CS tool to help perform some of the basic current and ppm calculations. The time calculations are crude in that they do not account for ramp-up times, though for the most part, it can prove quite accurate with seeded or regulated processing. 48 V divided by .0005 or 500 µA equals 96,000 ohms. 100,000 ohms would be a standard value and would be available at your local radio shack. 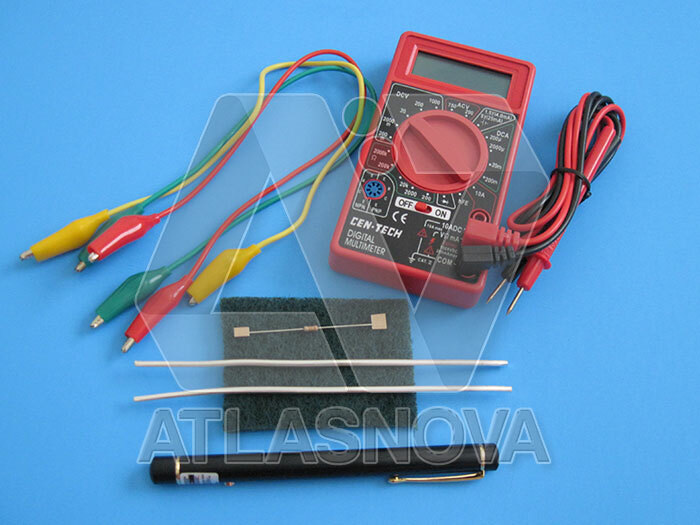 Resistors are also specified as to the amount of power they can dissipate as heat. We are still talking about very little power here so the smallest resistor, one-quarter watt, will do. RadioShack supplies these impacts of five for $.99. If you had only 24 V as a supply, a 50,000 ohm, also a standard value, would work. Can anyone here that has a generator help me out with some free colllidal silver I'm suffering very badly from systemic whipple's disease I have no help or any treatment I've tried everything I keep getting sicker I can barely leave the house or keep food down right now it's very scary if I can't find something to help me soon this will kill me. Please I'm desperate and have no money or no way of getting it. I just want to be healed so I can be a father to my kids again please I'm begging anyone. I don't usually do this kind of thing but right now I have no choice. I'm not a scumbag or a deadbeat I'm just very ill and asking for someone with a kind heart if they could help me. Thank you and God bless. I tride the silver wings in the past and the gnc stuff but didn't do much I don't think but then again I'm not sure. I use to do 2 tspns a day of it. Everything seems to think this will cure me. Idk I've tried everything I could possibly think. First off, I'm terribly sorry to hear about your illness. Your health situation sounds reminiscent to my own in the not-so distant past. With that said, I'd begin by stating that I really don't think 2 tspns a day is going to do much in terms of regaining your health based on what you've written. In fact, I'd go as far as to say that any CS taken in such amounts will likely be wasted, as it won't raise the levels of silver your blood high enough to overcome the effects of the illness. PS. Some people are of the opinion that that taking properly made CS can lead to Argyria(blue'ish colored skin). Though I'm here to say that I've been taking the very same protocol mentioned above(2oz, 4 times p/day), for nearly 8 years now, every day, without any problems whatsoever. This is the first thing that I came up with for people to make their own Colloidal Silver . I had been supplying the first 9999 pure silver wire and decided to offer this with the instructions as a kit. It was the first kit to be offered with 10gauge wire, much thicker than 12 or 14gauge. Here is a link to the instructions for use. Before buying any generator get you should be able to view the complete instructions for use. Here is an item that is absolutely essential if you are making Colloidal Silver . It will cost you less than three dollars, including postage. That is an incredible bargain. I could not even pay for the shipping to you for that amount of money, here in the good old USA. Does this mean that there is something out of kilter in our trade relations with China? Probably, but that should not be your concern. What should concern you is the fact that there are so many people trying to sell you Colloidal Silver generators, making all kinds of claims. What you really need to know about your generator is what is the ionic PPM that it produces and if the water is still clear. the top three threads have over 50,000 views and 400 posts. Anyone can join.